This genuine HP cartridge features high-quality ink and is designed for the HP DeskJet Ink Advantage printers. It will deliver lab-quality prints throughout its service life. Your printed documents will be as good as if they were laser printed. Enjoy the reliability and quality of genuine HP cartridges at a new, lower price. In addition, using it with genuine HP photo paper ensures fast drying and a long life of printed photos. 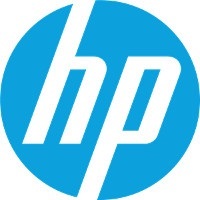 For shipping to other EU countries visit this page HP CZ109AE 655. Für Versand nach Deutschland, besuchen Sie bitte HP CZ109AE Nr. 655. Chcete doručit zboží do Česka? Prohlédněte si HP CZ109AE č. 655 černá. Chcete doručiť tovar na Slovensko? Prezrite si HP CZ109AE č. 655. Für Versand nach Österreich, besuchen Sie bitte HP CZ109AE Nr. 655. Magyarországra történő kiszállításért tekintse meg ezt a termékoldalt: HP CZ109AE No. 655.